Judging from a few career mishaps it has become apparent that entertainers keep away from political issues, as discussions and opinions on agendas and issues of the state are of a very sensitive nature. Many find it heart-breaking when a beloved figure shares opinions on political views that strongly differs from theirs, and one would think that the status of the said individual would make the masses more tolerant of their views, but on the contrary, it is that very factor that enrages people. Many believe that celebrities have the ability to influence opinions and that ability should be channelled into positive movements rather than promoting propaganda. While here in Nigeria we seem more worried about the basic infrastructure problems our incompetent government has failed to provide, in a more progressive world, issues concerning abortion, immigration, and gender pronouns take the forefront. Knowing this, many big-name celebrities choose to be quiet on certain issues, except of course for the man who has boldly proclaimed himself to be a god, Kanye West. It’s no secret that West, is a Donald Trump guy, regardless of the fact that hatred for Trump is predominant among the black-American community, owing to his strong views on people of colour. This presents some complications, as West is regarded as a powerful voice for the black American community, yet doesn’t share the same opinion on Trump as many blacks do. Kanye has managed to put many of his fans in a predicament, where they either choose to tolerate his political views because of the love they have for the artiste or boycott him. Judging from the success of his last album, the dedication and loyalty of Kanye’s fans remain unquestioned. 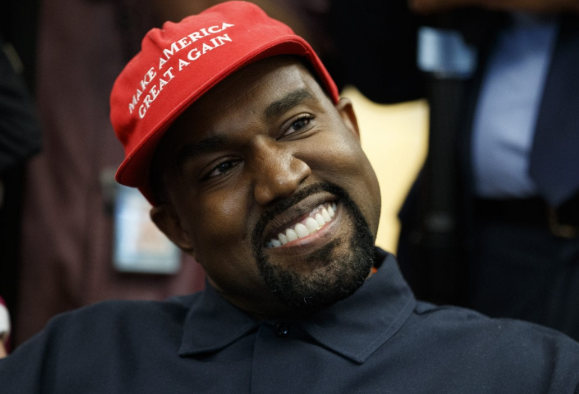 Fans or not, a lot of Black-Americans, still seem perplexed at Kanye’s actions, especially after his visit to the White House where he stated, “I love this guy,” Obviously referring to Trump. 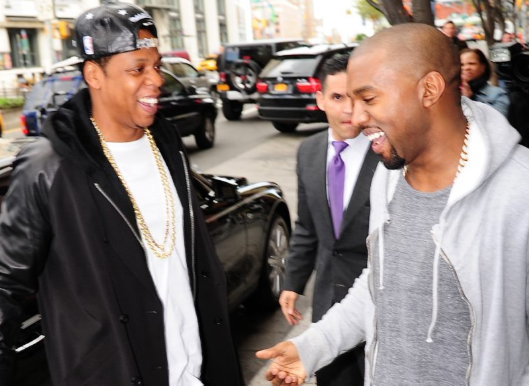 Or when he said that “slavery is a choice.” Amongst the people that ‘allegedly’ cannot put up with Kanye’s newfound political interest, is his close friend Shawn Carter aka, Jay-Z. Earlier this year it was rumoured that Carter and his wife Beyoncé had severed ties with the West’s, partly owing to his support for Trump. This line came across as a subtle shot at Kanye, whilst also referring to the red Make America Great Again (MAGA) fez cap and the insult trading between Prince and MJ, back in the ’90s. However, it is unclear who the “You” in the line “I ain’t one of these house n—– you bought/ My house like a resort, my house bigger than yours/ My spou – c’mon, man,” is referring to. Meek stated that the “You” could be referring to Kanye, then again, it could be referring to Trump. It is also interesting to note that this is Jay-Z’s first tweet in over a year. There’s every possibility that Carter was forced to address the issue due to its severity via his Twitter account.